Saudi Arabia and the Houthi militia group have expressed support for U.N. calls for a cease-fire in Yemen, even as fighting between them continued on the ground. 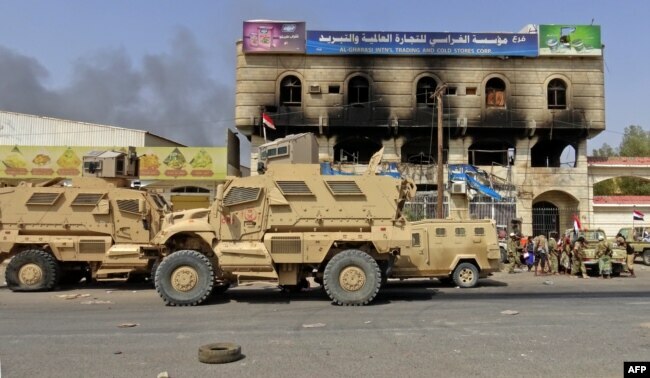 Arab media reported scattered pockets of fighting between the Saudi-led coalition and the Houthis around the key Red Sea port city of Hodeida Monday. The coalition has been waging war against the rebel Houthis to restore Yemen’s internationally recognized government to power. 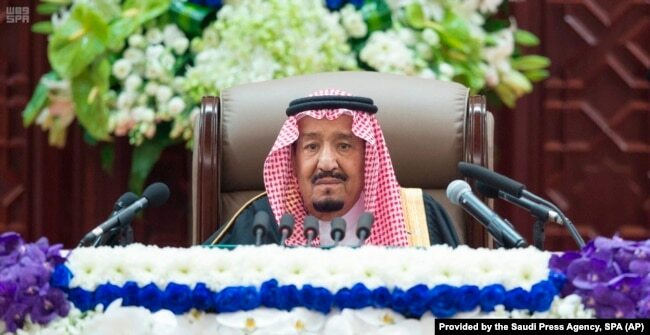 Saudi King Salman, addressing the annual opening session of the Saudi al Shura consultative council, told delegates he was determined to abide by international efforts to forge a cease-fire in Yemen. He said it was the kingdom’s duty to stand by the Yemeni people in resisting “aggression” by the Iranian-backed Houthis. But he said the Saudis will support a political solution based on U.N. Security Council Resolution 2216, and the Gulf initiative for inter-Yemeni dialogue. The resolution calls for an end to the violence in Yemen. The conflict is seen as a proxy war between Saudi Arabia and Iran. The subject of Yemen also came up as Iran’s foreign minister, Mohammad Javad Zarif, hosted his British counterpart, Jeremy Hunt, in Tehran Monday. He added that his group would also put an end to missile and drone attacks on countries belonging to the Saudi coalition (including the United Arab Emirates, Bahrain and Sudan). Houthi spokesman Mohammed Al Bakhiti told Arab media Monday his group would abide by a cease-fire if its adversaries did, as well. He said his group is willing to wait to sound out the determination of the international community to put an end what he called the aggression against Yemen. But he added that the Houthis would resume defending themselves if nothing were to come of these efforts. Saudi coalition spokesman Col. Turki al Maliki told journalists in Riyadh Monday the coalition “supports all efforts by U.N. envoy Martin Griffiths to bring peace to Yemen, but that fighting was continuing in Hodeida. He accused the Houthis of attempting to launch a missile into Saudi territory overnight that fell inside Yemen. FILE – Yemeni pro-government forces gather on the eastern outskirts of Hodeida, as they continue their battle to wrestle control of the city from Houthi rebels, Nov. 8, 2018. He said the coalition has practically surrounded the city and is three kilometers from its center. He claimed the Houthis are desperate and are fleeing. He claimed that the fighting in Hodeida is continuing on humanitarian grounds. He accused the militia of violating international humanitarian law by blowing up grain depots used for humanitarian aid in Hodeida, and putting mines inside piles of wheat and TNT inside bags of sugar. He alleged that the Houthis had blown up a school and were using mosques to store landmines. Hilal Khashan, who teaches political science at the American University of Beirut, said a cease-fire would eventually take hold in Yemen, but that each side wanted to fire the final shot before it goes into effect. Hezbollah, he added, also continued firing rockets into Israel until the last minute during the 2006 conflict in southern Lebanon.